It is Week 4 of our Fear Challenge! With November nearing the end we hope to spend some time reflecting upon the ways fear challenges and grows us. For our final week, we are discussing fear of the unknown. Fear of the unknown is common in our industry. Usually, we don’t know where or when our next performance job will be, nor do we know how long we’ll have to wait to acquire that job. This can invoke fear, anxiety, and a slew of other emotions. So, how do we handle them when they arise? Lean into your fears of the unknown by heading over to our Slack channel for your Week 4 challenge and community conversation. We so appreciate you bearing your souls with us during these four weeks. 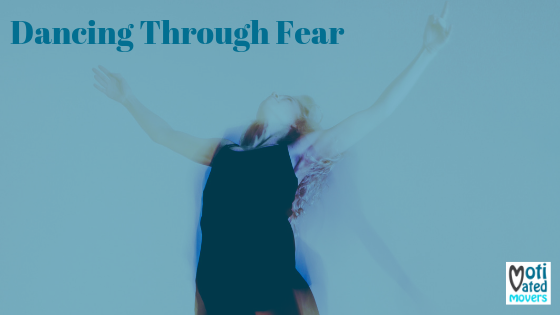 We hope you have benefited from taking a closer look at how fear manifests and what we can do to embrace it. If you’re still looking to delve deeper, consider engaging with our Slack Community for artists or scheduling a private virtual coaching to customize your personal roadmap to facing dance-related fears.